It is very difficult to remove greasy stains from clothes if we do not have the right products. Thankfully, there are some house tricks that would be a good solution to this issue. Everybody happened to soil an upholstered furniture, carpet or clothing with oily sauce or greasy food and don't have the suitable chemical handy. Often, the untimely and proper treatment of stains might be the purpose behind the inability the stain to be removed at a later stage. For such extraordinary circumstances, you require fast hints for expelling greasy stains. What's more, trust me, you can do it like a professional with the simple ingredients you have at home. If you are wondering how to remove the oily stain, you can try some of the following home cleaning tips. If the greasy stain is fresh, act quickly to remove it more easily. Cover the stain with plenty of salt. It will absorb the fat and prevent its penetration into the tissue. You can use it by itself or mix it with a little amount of alcohol, for example, vodka. 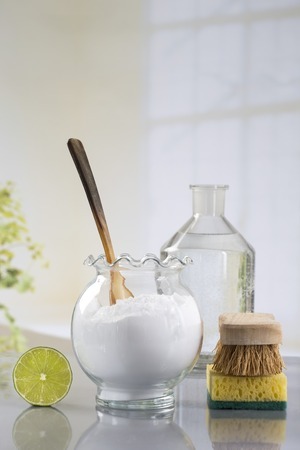 Apply the mixture on the clothing or furniture toward the strings to avert tearing of the texture. Tenderly rub on the stain using a soft cloth or a clean sponge. In the absence of salt, you can use sugar. Once it has dried, use a brush to remove the remaining particles from the "preparation" and then wash the garment. 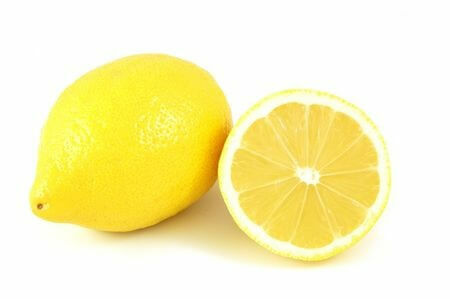 Lemon juice is also a good tool to fight greasy stains. Apply a small amount on the affected area, let it work for about an hour and then wash the garment. 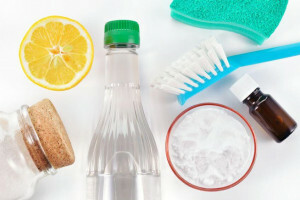 Another well-known technique for cleaning oily stains and brightening up fabrics is using vinegar. To expel the oily stains, sprinkle a couple of drops of vinegar over them and leave to work for about 10 minutes and periodically gently rub the spot. For even better results you can likewise include a tiny bit of salt. To remove a dried oily stain, soak the garment in a solution of water, apple vinegar and alcohol. Leave for 1 hour and then wash as usual. When you make a stain on a clothing it is ideal to treat it appropriately before you wash it. It's decent to use talcum or baby powder on the stain. Sprinkle a smidgen of the powder and rub tenderly with a dry sponge or cloth. Powder ought to be rubbed well into the fabric material so can effectively expel the greasy spot. You would then be able to wash the fabric with a suitable cleanser after the procedure. 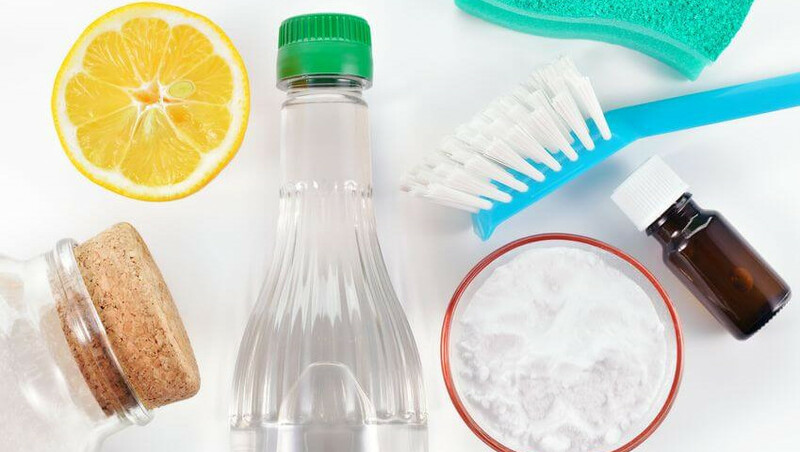 Baking soda is an ingredient that is widely used to clean and remove different types of pollutions including greasy stains. It is appropriate for white garments as has a slight brightening effect. Place a small amount of it on the stain and rub with a damp sponge or soft cloth. Leave for 15-20 minutes and wash the garments in the washing machine as usual. Same like the talcum/infant powder you can employ cornstarch to get rid of greasy marks. It is (same as powder) suitable for cleaning coloured fabric materials. Just put a little bit of it on the stain and rub it delicately. Leave to act around 20 minutes and after that just wash the item with an appropriate cleaning solution. Certainly, the oily stains are one of the most difficult to clean and remove from clothing, upholstered furniture and carpets. Royal Cleaners can help you clean and sanitise your upholstered furniture or carpets from stains. We know how and we use high-quality professional equipment and a great variety of stain removers. For any type of cleaning at your home or office just give us a ring on 020 3637 8979.